Martin Gnadt — Kommunikationsdesign — D.I.W.A.D.S. The double irish with a dutch sandwich is a strategy to avoid paying taxes. The transfer of the money through various contries reduces the taxes considerably. With this strategy some companies decrease their taxes by almost 70%. That money is missing in the countries' tax revenues and that in a time of big financial crisis. 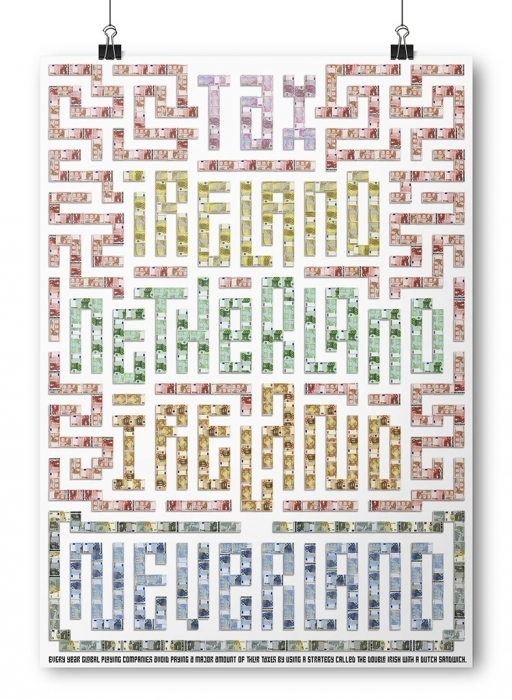 The Idea of the Poster is to show the way the money is being moved within this tax-labyrinth.